A delightful pair of vintage Edwardian lady’s mitts gloves. 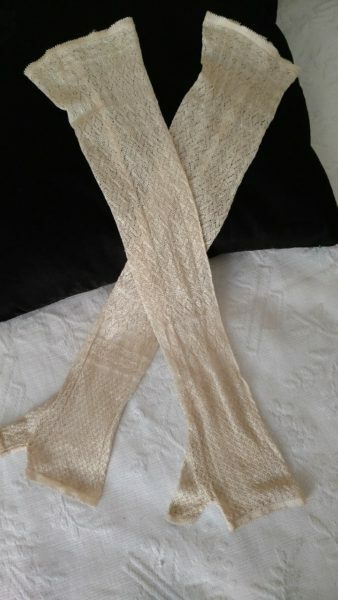 The cream silk or silk rayon mitts are over the elbow length. A light airy pattern in different motifs of woven mesh. May have been worn for bridal wedding or perhaps a ball.